George Orwell and Aldous Huxley imagined two very different dystopias. 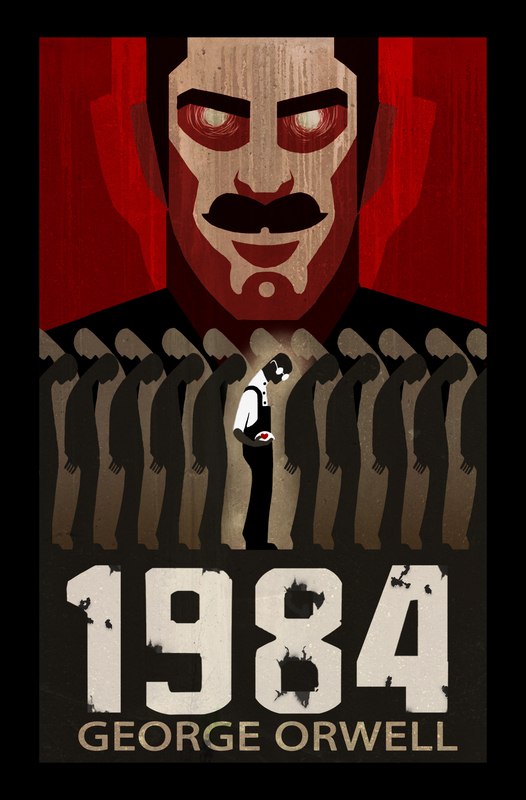 In 1984 (1949), Orwell depicts the forces that held people captive as fundamentally external: coercion, espionage, laws, institutions, and threats, lies told by the powers-that-be (or, the state? government?). The vision of freedom that Orwell presents is primarily socio-political, with the greatest threat to humans being other humans, whether the Nazi, the slave-owner, or the autocrat etc… Oppression comes through pain, not pleasure; the essence of liberty is to be without external constraint. 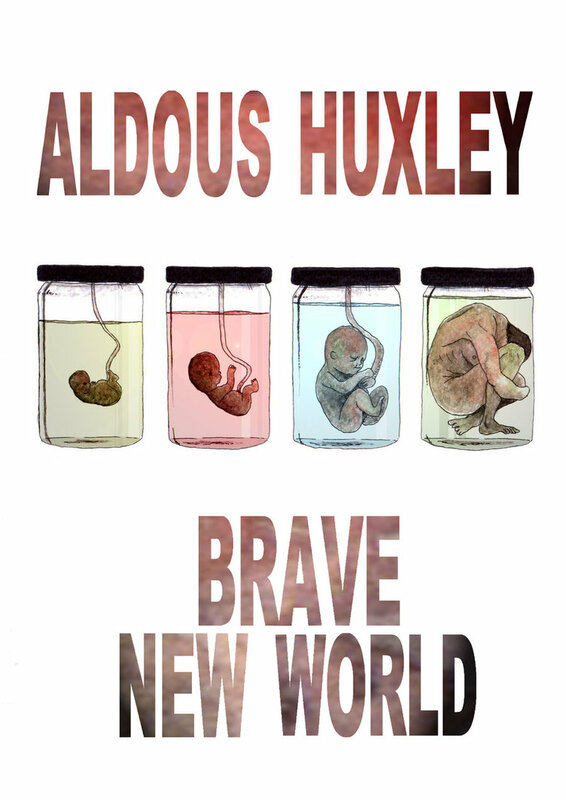 By contrast, Huxley’s Brave New World (1934), published just after the Wall Street crash had turned the excess of the twenties into the Great Depression of the thirties, portrays a future in which people are enslaved to forces within themselves: desire, inanity, hedonism, egotism, ignorance. Humans are free if they are able to choose, to will their own future, to decide for themselves what they will do with their lives. The cores of these dystopia are striking and fascinating and really kickstarted the dystopia genre as it’s own entity. The Hunger Games trilogy by Suzanne Collins is the latest craze in young adult literature. Unlike its young adult or children’s literature predecessors, such as Harry Potter and Twilight, this latest book phenomenon is not rooted in the paranormal. There is no magic; there are no vampires. The protagonists are ordinary people, living in a dystopian society. However, in reflection of its dystopian predecessors The Hunger Games presents an interesting blend of 1984 and Brave New World. There is a distinct disparity between the excessive, hedonistic world of the Capitol and the impoverished, oppressed and constrained districts. The hero, Katniss, and her family live in a district where the primary employment is in coal mining. People in district 12 are themselves split into an upper and lower class, but regardless, they all live in poverty, struggling to find enough food and resources so that they won’t have to buy tesserae (where you get food and oil every month in exchange for putting you’d child’s name in an extra time for the Hunger Games). We learn throughout the series that this lifestyle is similar across the districts – except for in districts 1 and 2 (and sometimes 3?) which are ‘privileged’ and which produce Career Tributes – kids who train their whole life for the glory of fighting in the Hunger Games. While the residents of the districts starve, the citizens of the Capitol live in luxury. They play with eugenics, aesthetics and their sole reason for living seems to be in serving the Capitol in a cultural way, creating the arts and consuming them. Aside from what their use is, they are excessive, purging themselves at parties in order to enjoy more food (much like the Romans) and paying exorbitant amounts of money to support the Hunger Games and their favourite tribute. Opulence is reserved for the elite, for the government officials and citizens of the Capitol. I hope to have, by now painted the picture that the districts live in an Orwellian dystopia while the Capitol exists in a world that strongly resembles Brave New World – many Capitol citizens don’t seem to notice that they are living in a controlled society or the cruelties their government commits in order to maintain this lifestyle. However, we get hints, Cinna for one seems to realize it as does Plutarch (the gamemaker in Catching Fire) and in Mockingjay there is Tigris, whose high-life has had horrific consequences. Then of course there are President Snow who has orchestrated the Panem system and Alma Coin who is never fooled and who orchestrate her own hostile takeover of that system, without the intention of really making change – well, that’s a whole ‘nother can of worms. Oh, Coin, she lady MacBeths the whole thing, scheming for control but all for vengeance and not for change. However, the one thing that ties these two worlds together (and arguable which ties our world into these) is The Hunger Games. 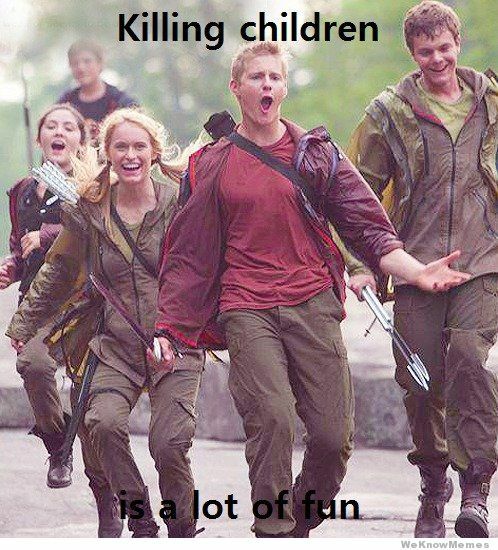 All of Panem revolves around the annual Hunger Games. The Capitol prepares for it all year, and, ironically, by supplying the Capitol with resources, so do the districts. The districts emotionally prepare for it each year as well. While it is touted as the reconciliation for the revolution of 74 years before, it has really become what holds Panem together. It is a sport to the Capitol, but for the districts it is mandatory viewing – they’ve got to watch their punishment, of course. Those who live in the districts have little technology with even telephones being a sign of wealth. However, each household does have a television so that they might watch ‘national broadcasts’ and the Hunger Games. While the books have received criticism for what some consider unnecessary violence, children killing children is pretty graphic, but let’s take things really literally here. The graphic content is not needlessly gratuitous but instead, I think, a reflection of our own world. The Capitol = western civilization whereas the districts are pretty much everywhere else (I know that is broad and I apologize, I’ve never been great at political correctness). The districts provide resources and labour for the Capitol who produces entertainment and excessive amounts of products and waste. Collins said that she was motivated to write the novels after watching footage of the invasion of Iraq and reality T.V. We need look no further than our televisions and newspapers for acts of violence similar to those portrayed in the books. I think rather than criticising these books for gratuitous violence we should take a look at the box office profits of the films. This book is attempting to direct our (western) gaze inward, demonstrating that big, powerful governments have a tendency to become corrupt and intrusive (to put it lightly). So, how ironic is it that the first film alone earned over 214.3 million in its opening weekend? What more proof do you need that we westerners are the Capitol, spending money to support our favourite tribute and our favourite industry, entertainment media. I think we may have missed the point. I got a little excited there. The recent popularity of dystopian literature for young adults presents an opportunity. Perhaps books like The Hunger Games will encourage youth and adults alike (because the book is cross-over and we can’t assume that youth aren’t already questioning these things) to question the whys of the world, our lifestyle, the way we treat the environment and other people. Perhaps the film can be used to point out this irony, to question the dissemination of knowledge and history, to question government and statism. And, perhaps by reading books like The Hunger Games youth will engage with the message and ideas of liberty – before fiction becomes reality.